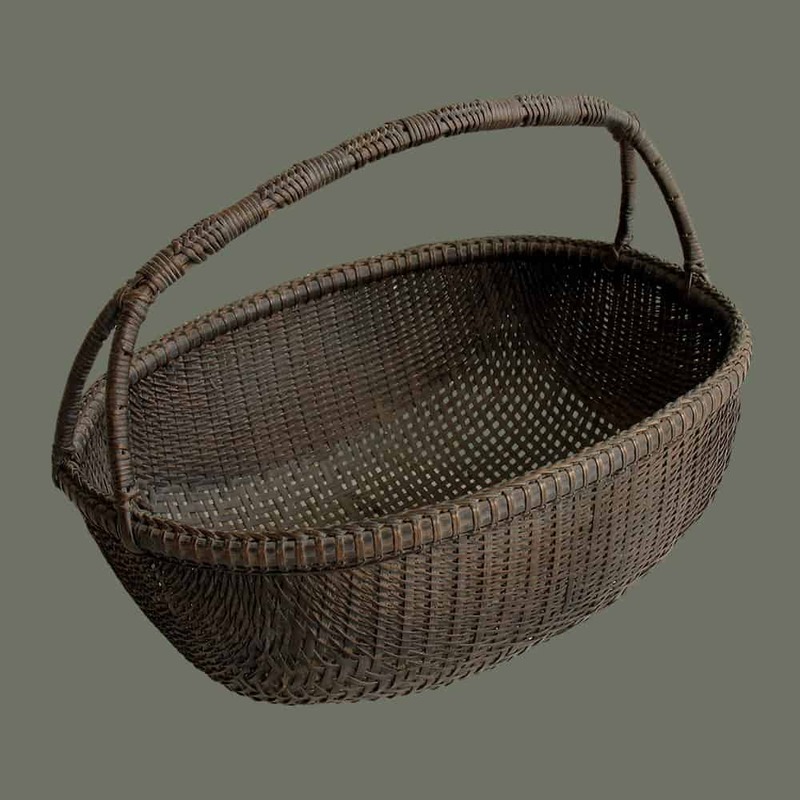 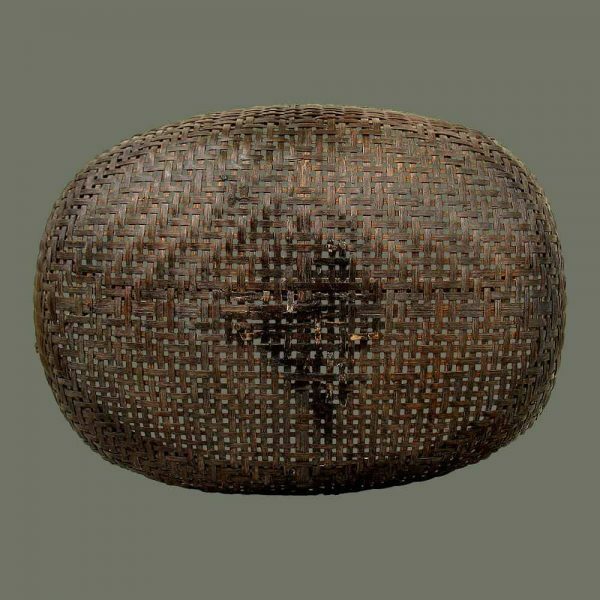 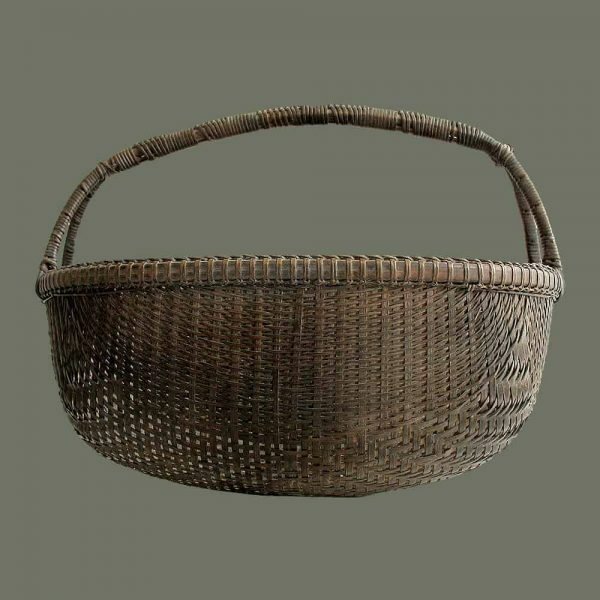 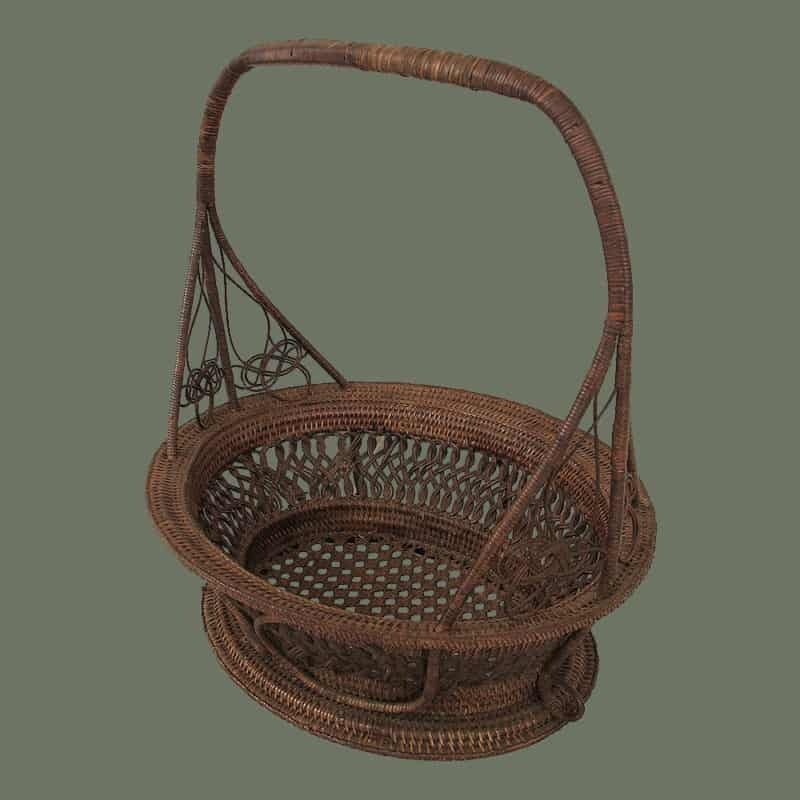 This very attractive old basket is woven with interesting patterns in several sizes of split bamboo which form a radiating pattern that is quite modern and unusual. 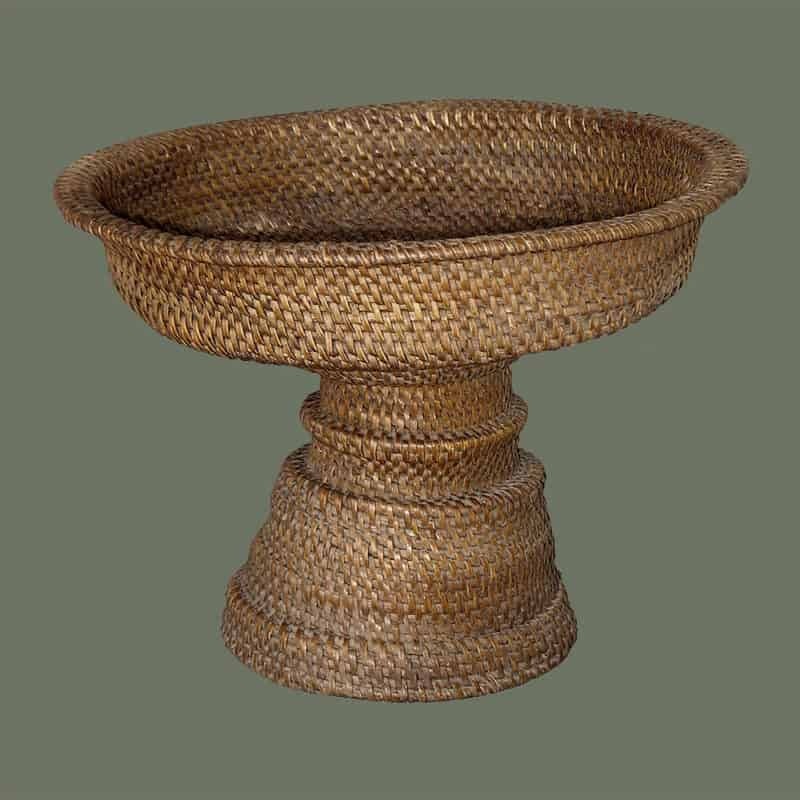 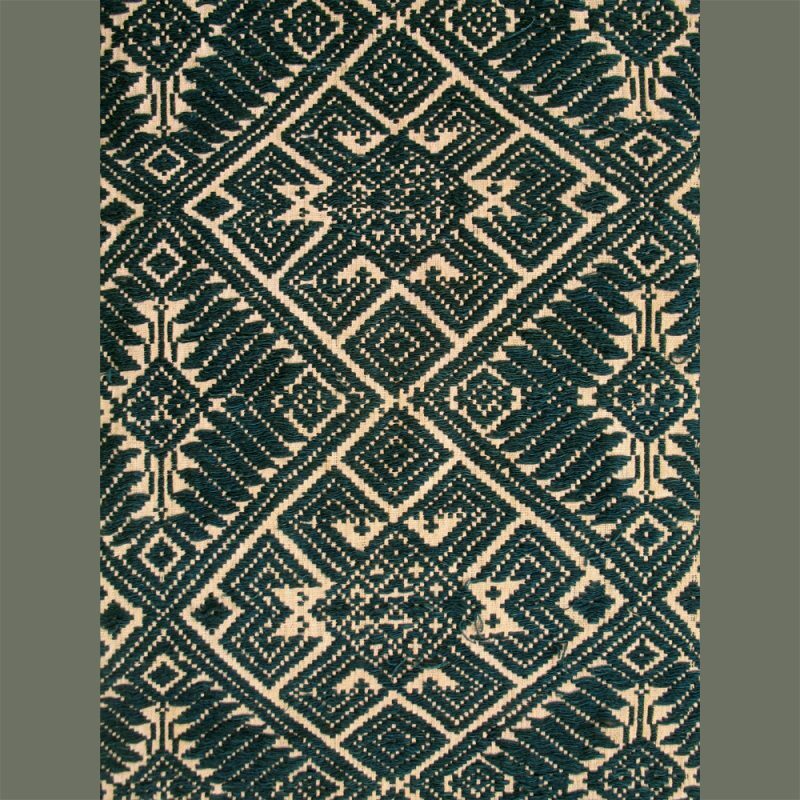 The handle has additional detailing with sections simply wrapped followed by sections of braided wrapping. 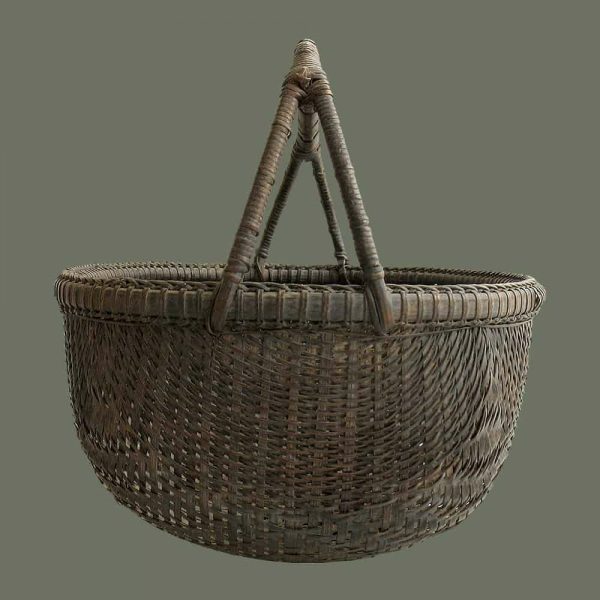 The handle then splits into two legs to join the bowl of the basket and add strength. Very beautiful form and design for a utilitarian object. 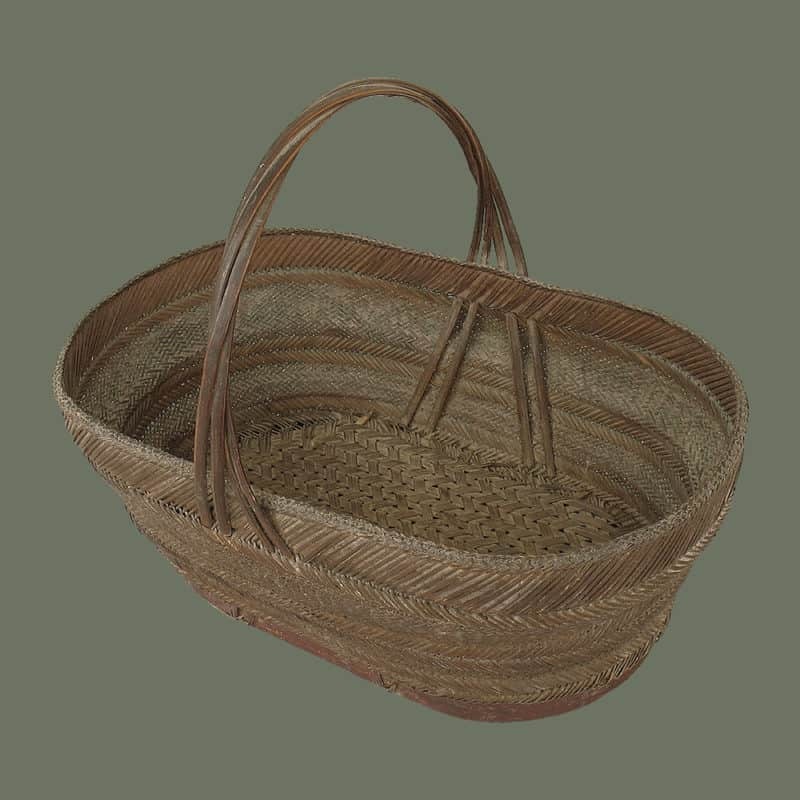 Condition is very good with only minor repair on the bottom, as might be expected.